Wren Ballard is trying to find herself. She never expected to be divorced at 27, but now that the court date has passed, it's official. The paperwork is final. Her feelings on it aren't. Spending the summer in a small mountain town outside Seattle is exactly what she needs. The peaceful scenery is a given, the cat with the croaky meow is a surprise, but the real kicker? A broody neighbor with nice arms, a strange reputation, and absolutely no interest in her. It's crazy how fast the buzz comes back after you've been sober for so long. Whiskey stood there, on my doorstep, just like he had one year before. Except this time, there was no rain, no anger, no wedding invitation - it was just us. It was just him - the old friend, the easy smile, the twisted solace wrapped in a glittering bottle. It was just me - the alcoholic, pretending like I didn't want to taste him, realizing too quickly that months of being clean didn't make me crave him any less. But we can't start here. I struggled to finish this book, and it had nothing to do with the story... The narration was absolutely horrid. Not only was the narrator's nasaly voice hard to bare, she often used a "valley-girl" like inflection which brought nothing to the story and was just plain annoying. She had almost no grasp on the tone the characters were using. The book itself was decent and at times slighty poetic. I wasn't a fan of the way the author eluded to what would happen next, but characters were likable. I probably would have enjoyed it more had I read it instead of listening. I want to start by saying that I really wanted to love this book. Everyone I know that has read it has adored it, that leaves me to believe the issue is with me. This is totally my opinion and please don't anyone hate me. 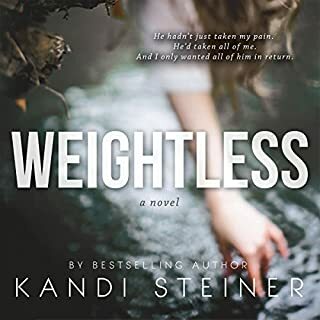 Kandi is a very talented and the book was very well written. Her character development was off the charts. I have a hard time remembering character names when there gets to be too many but Kandi made every single character memorable and I had such a great connection to all the characters. The reason why I am not rating this 5 stars is because I found the main characters completely immature and unrealistic. They ruined way too many lives, over and over, including their own and I just don't think anyone has the motivation to do that to themselves for over a decade. I was left frustrated, irritated and annoyed. That being said, I listened to the book straight through, I couldn't stop just wondering how this madness would end. I never once considered not finishing it. Lauren Sweet is not the narrator for me. When she is just telling the story, I think she's great. Easy voice to listen to and her tone is great. Then the narratives come in and her voice gets extremely whiny and high pitched and I just really don't care for it. I really liked the idea of the story but for some reason the writing annoyed me. It just seemed to drag most of the time and I ended up skipping ahead. The narrator was so whiny and nasally when she voiced the characters, I had a hard time getting through it. I love the angst and conflicted love that had so much potential but unfortunately for me it missed the mark. 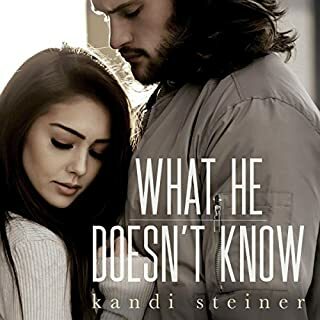 First book from Kandi Steiner, won't be the last! What made the experience of listening to A Love Letter to Whiskey the most enjoyable? The writing. The words flowed beautifully, very poetic writing! Whiskey. OK Jamie if you must. But he'll always be Whiskey to me! 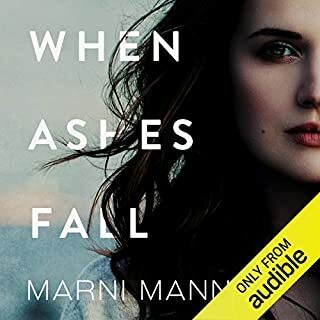 No, this was the first book with her narrating that I've listened to. I think she did a good job. Caught a couple of slip-ups. Like her calling the Character of Ethan, Nathen towards the beginning. So that kept the performance from being a 5 Star. But overall she did great at acting out the story and different characters! YES, If I could of! It was very addicting! This was my first Kandi Steiner book, will not be my last. I've already recommended it to several book friends that enjoy romance! She has a way with words, having some of the best quotes I've read in stories! Not forced, just beautiful! I read one of the other reviews saying that they think there are many fake reviews for this book. I can assure anyone reading this review of mine. It's not fake. I truly loved this story from beginning to end! I come across new to me authors all the time and this author can truly write! I highly recommend you checking this book out! Loved this book listened to it all in one day! needed something to get me through my day of work. and this did the job. couldn't stop listening, this book had so many ups and downs but in the end it was was worth it. I'm glad I picked this one. 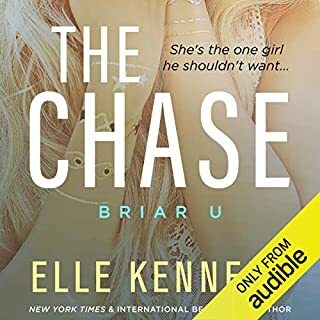 I love romance books but this one really kept me on my toes and I couldn't stop listening. sad that I finished it all in one day but I needed to know. it really got to me, being a whiskey girl myself. I will be looking for more from this author. I couldn't let go, I couldn't walk away. Heart racing moments, furious at the reality, & yet overall understanding... because I, too, have an addiction to whiskey. Perfectly aged, under tones that always draw me in, deliriously intoxicating, rough to the last drop, but it's an addiction that makes me feel. I love love this book. The story is SUPER GREAT. it does take you on a Rollercoaster ride throughout the whole thing, but its so worth it. The narrator did a wonderful job, it pulled me in and wow i just cant put into words how great this book is!!!!!!!! This story is going to bring you up, push you down, play with your emotions, and just maybe break your heart. It's not perfect, but that's what makes it perfect. Narration is great, and the story is even better. Whether you're reading or listening, this book is worth it. I loved this book! The story kept me drawn in the whole time and I highly recommend listening. Great job Kandi! A story of life, love and regrets. The narration was great I really felt I was there with the characters. 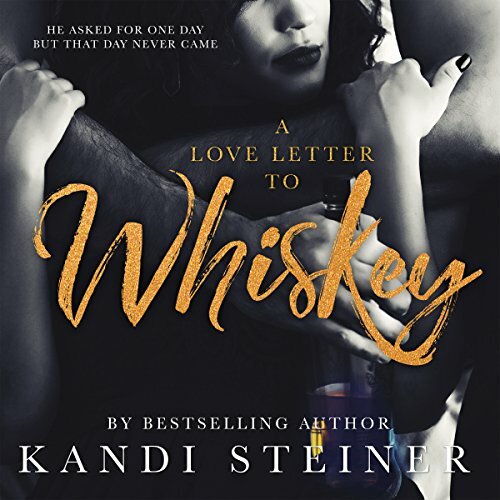 A love letter to whiskey is told like memoirs, it's a letter that goes back to when the two characters first meet in high school. Regrets, choices over the span of 11 years with two friends who would never venture into more. It was frustrating heart warming and emotional to be with them through the years but it all came good in the end..
Wow! I’ve just finished this fabulous heartbreaking story and one that kept pulling at my heartstrings chapter after chapter. Love, Friendship, Promises given, broken and so much more and like the waves of the ocean, all of those emotions being pushed and pulled with each turning tide. I think I’m still coming down after the last wave that crashed and broke or maybe I’m riding on the crest, waiting to see what’s next but hoping is never going to end. Loved this story and the emotional journey it took me on. A good smooth shot ! Was A Love Letter to Whiskey worth the listening time? This is not the usual story I go for. I'm more into paranormal romances, but the reviews on this were all good thought I'd at least try a taste. For the first few chapters I was umming & ahhing about continuing, but as neared the middle I was enjoying the taste of whiskey & was ready for the next shot. Although most of the problems B brought on herself & was getting frustrated with her & wished she would just get out of her own way, but when your young & scared you always make silly mistakes. The story kept me hooked as I waited for what was the next obstacle that would keep them apart & honestly got teary when got to the end of the bottle. I think Lauren Sweet was the perfect narrator for this story. A beautiful smooth voice to help you drink in the story. I loved every minute of this book, from the first page to the last, so bittersweet. 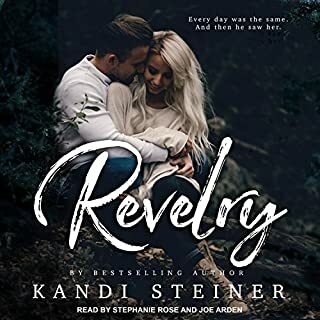 Maybe it's because Kandi Steiner gives B a voice that echoes so many of my own thoughts; maybe it's because she expresses so beautifully how our blinkered or tainted perspectives end up dictating the direction we take in our life. But this is a 6-star story. 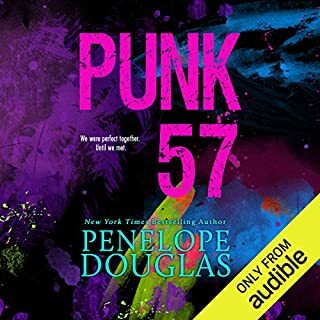 I just found this audio book too good to savour. I already feel the hangover coming on, but I had to drink it down it in one sitting. It's been a long, emotional day - but Lauren Sweet has kept me company throughout, and I can reflect back on the words she narrated with a bittersweet smile after this heartbreaking story was so delicately wrapped up. Read it or listen to it, but don't pass up a shot of this Whiskey.